Self-contained, cosy, quiet holiday retreat for up to four people. 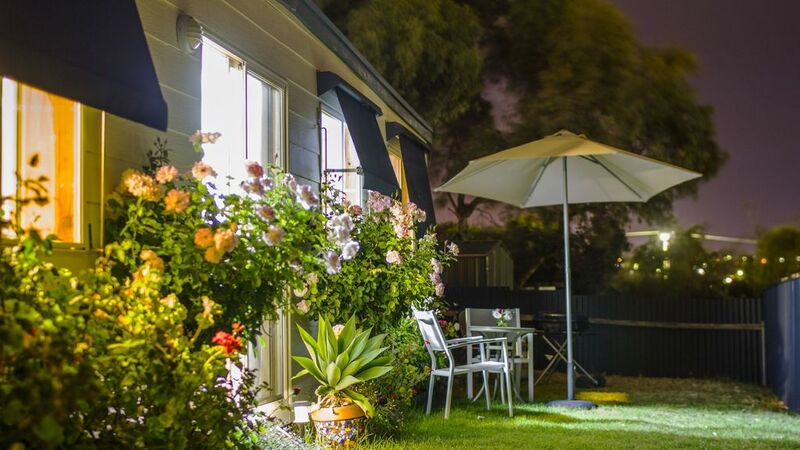 Just a stone throw away from Moana Beach and a 10 minute drive to the world renowned McLaren Vale wine region & historic Willunga a or a five minute drive to Maslin Beach and ten minute drive to Port Willunga. In front of the holiday cottage is a grassed outdoor area to relax or cook on a BBQ. Moana Beach is a beautiful swimming, surfing and fishing beach. Cycle or walk along the Esplanade. A licensed Cafe is right on the beach. For your convenience a 2 minute drive to Seaford Train station and Seaford Shopping Centre. There is Woolworths, Foodland, a bakery, TC's fruit &Veg, BigW and Barossa Fine Foods. Adelaide CBD is only 30 minutes by train from Seaford. The local bus stop is only a 2 minute walk from our property.